As distance runners, it can sometimes seem like our progress or improvement is not as quick as we want it to be, but it’s important to often take a step back and look at the bigger picture. Aaron Braun is someone who has seen consistent and gradual improvement throughout his career. 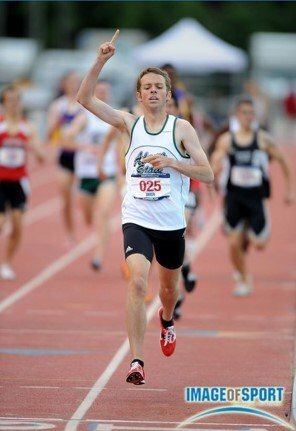 While he didn’t garner any National attention in High School, he emerged as a National Champion in College at Division 2 Adams State University. 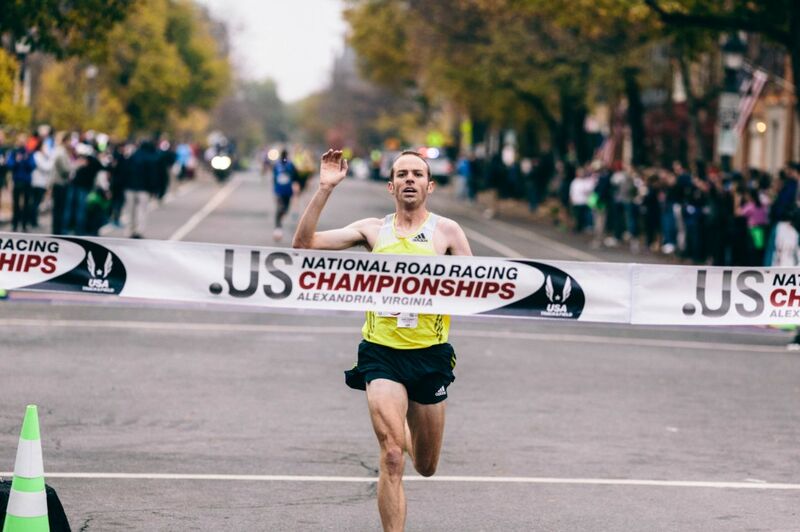 He then continued his progression professionally, establishing himself as one of the top US professional road racers, winning the USA 12k National Title, and running a 2:12:54 Marathon. 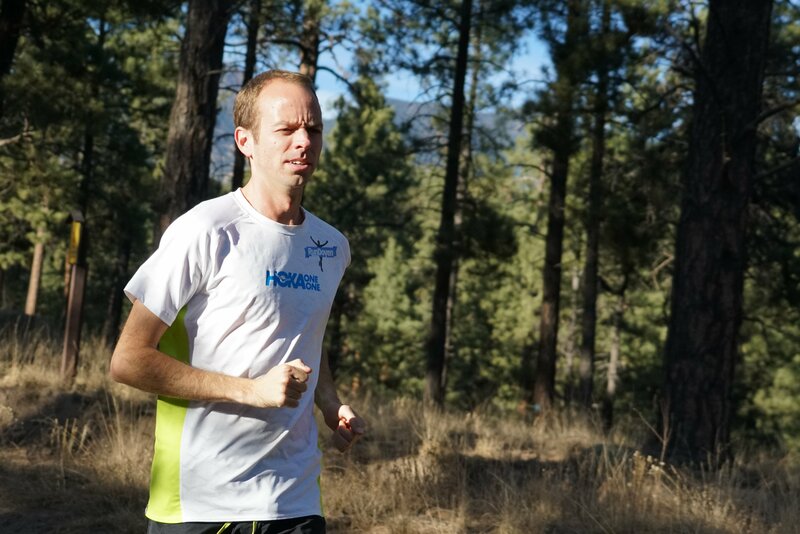 In this blog post, Aaron shares his tips to consistent progression as a distance runner and how he helps apply them to athletes that he coaches. Aaron is an Online Running Coach for RunDoyen and you can visit his personal profile page at RunDoyen.com/Aaron where he offers Personal Coaching, Custom Training Plans, or Video Chat Consultations. I first got introduced to running in 4th grade while running the mile for the Presidential fitness test. I played soccer throughout my childhood, walked to and from school every day, and was overall a very active child. So, not surprisingly I was pretty good at running. It did take me a while to accept and buy-in to my future as a runner, trying to hold onto soccer, and even football from 5th-8th grade. I could have never imagined I’d continue running for as long as I have, and believe I was lucky to have had great coaches who helped me be able to love running and stay in it for the long term. The following are four of the main factors that have allowed me to develop well over the last roughly 20 years in running, and hopefully some of them can help you do the same! For beginning runners, it is very easy to get caught up in the excitement of the amazing rate of progression and improvement. For most beginners, it seems like every workout and every race, you get better by leaps and bounds. This is mostly because you’ve never trained your body like this before, and that initial stimulus creates some major physiological changes that cause improvement to seem super easy. Don’t get me wrong, this is a super exciting feeling, but don’t expect that rate of progression to continue forever. A lot of people start to experience this “plateau” of improvement and get discouraged. Many people’s inclination to fight through this plateau is to do more. Whether that is more running, more core, a more strict diet, etc. more is not always better. Especially for beginners, I would recommend you stay patient and spread all the “more” you can do over the long haul rather than all at once. To this day, I still try to use this approach in my running. Each season, I focus on one thing I can really improve upon. I put a lot of effort and focus into whatever that may be, making it a part of my routine. Then, when the next season comes, whatever I worked on previously doesn’t seem like a very tall order anymore, and I’m able to focus on something else I can improve upon. Doing this has helped me avoid feeling overwhelmed by all the things I can/should do to improve. The “loneliness of the long distance runner” is a cliché for a reason. Running is hard, tiring, and sometimes flat out boring! The best way to avoid all that negativity from wearing you down is to have a strong support system. There are all kinds of different support you can have, the more the better! The first would be one, or more training partners. It doesn’t matter if you meet every single day, or once a month; getting some company on runs is almost always going to be beneficial in the long term. There’s a variety of ways training partners can help you, from simply sharing some conversation, to pushing each other through tough workouts; training partners can help running feel less lonely. Another form of support can come from someone who never even runs a step with you. This can come in the form of a coach, a spouse, a parent or friend. Anyone who is willing to listen to you talk about your running, and (at the very least pretend to) care! In the past, this has helped me get through some tough workouts I was doing solo. When the workout gets hard, it’s easy to start thinking about throwing in the towel. But if you have the support of a coach, spouse, etc. it helps you feel more accountable to not just yourself, but to them as well! When I was younger, I used to say that I hated running. That the only reason I did it was because I was super competitive, and running is what I was the best at. While that was probably true in those early years, I never would have kept running this long had I not eventually started to also enjoy the process of getting ready to compete. In many sports, people get too caught up in the outcome. In running, that would be the result of the race. While it is important to care about the outcome of the race, it can sometimes be heavily influenced by things out of your control. Wanting to place well is influenced by who you compete against. Wanting to run a new PR is influenced by the course and the weather. The process of preparing for the race however, is almost entirely in your hands! Enjoy and be proud of the hard work and effort you put into preparing for your big race. Yes, everyone hopes to place high and run fast, and if you do, that is easy to get excited about. But if you don’t, it is easier to move on, and keep developing if you know you put forth your best effort preparing for your race. One of the most beautiful thing about running is that it is truly a lifelong sport. From the day you learn to walk, to the day you die, you can run and have something that you can work towards. You should always have some kind of “big dream” that will take a long time to reach, and another short-term goal that helps you take a step toward achieving that big dream. One example from when I started running: my big dream was to get a scholarship and run in college. Along the way to that, I had many short-term goals I worked toward. I achieved one at a time before I eventually was able to accomplish that big dream. And the coolest thing is, that if you reach that dream or not, you can always adjust and re-route on your way! Having these long and short term goals help to stay motivated and consistent in your training. So there you have it, looking back at my running thus far, these are the four main factors that I believe have kept me steadily progressing over the last 2 decades. And I believe if I continue to focus on these, I will keep progressing in one way or another for years to come! Also, be sure to subscribe to the Doyen Newsletter for exclusive messages, training tips and offers from me and the other Doyens.